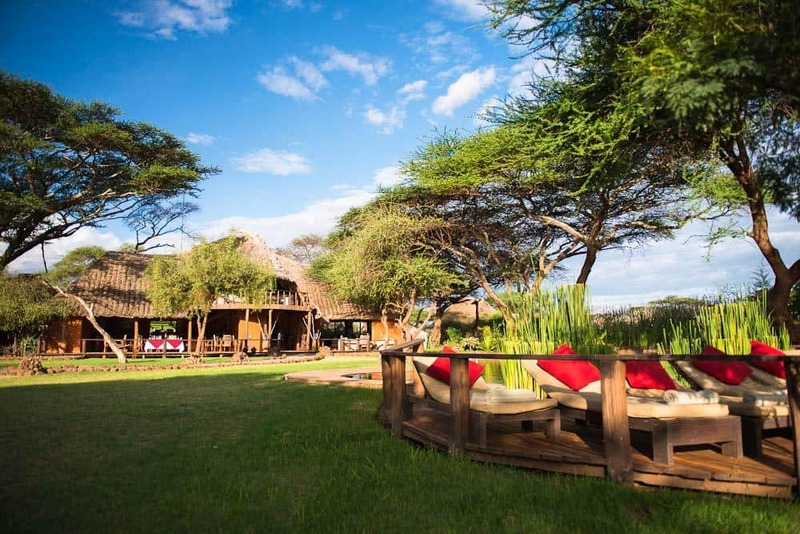 Tawi Lodge is located on a private conservancy of 6,000 acres just five minutes from Kimana Gate, the eastern entrance to Amboseli National Park, at the foot of Mount Kilimanjaro. The community-run conservancy, together with African Wildlife Foundation, promotes and maintains a harmonious development for the wildlife and the Maasai people along the corridor between Amboseli and the Chyulu Hills. Each cottage has its own wooden-deck veranda and a fabulous view of the highest mountain in Africa, even from the comfort of your bed or your bathtub. Double or twin cottages, all have en suite bathrooms fitted with both a bath and shower. Each cottage has its own fireplace and a mini bar for those very special sun-downers. Lighting and water systems are solar powered. A charging facility for cell phones and camera batteries is available. A butler service is provided for maximum privacy and comfort. The bar and dining area is the central point of the Lodge. 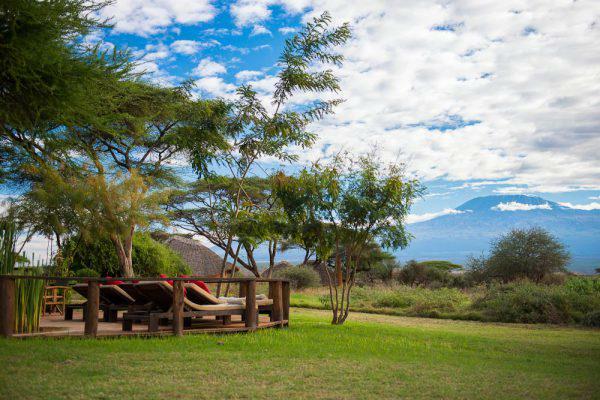 From there, under the shade of enormous trees, you have an extensive view of Kilimanjaro and the wetlands where the animals come to drink and play. It is such a fantastic experience to enjoy your favorite drink while witnessing the life of the big elephants playing in the mud just a few meters in front of you. The attention to details and the excellent and friendly service is particularly noticed while dining. Fine cuisine with selected produce grown in the wetlands of Amboseli where water from the Kilimanjaro surfaces through volcanic rocks and creates a very fertile soil. Your senses will be delighted by a blend of spices from the Swahili Coast. Before and after dinner, relax by the campfire, or at our very special bush bar, and listen to the magical sounds of the African bush. 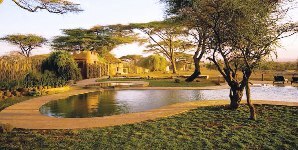 When not on game drives, you will enjoy the swimming pool and massage area: all types of massages and beauty treatments available, hot bath at sunset in front of the wildlife drinking from the waterhole a few meters away. 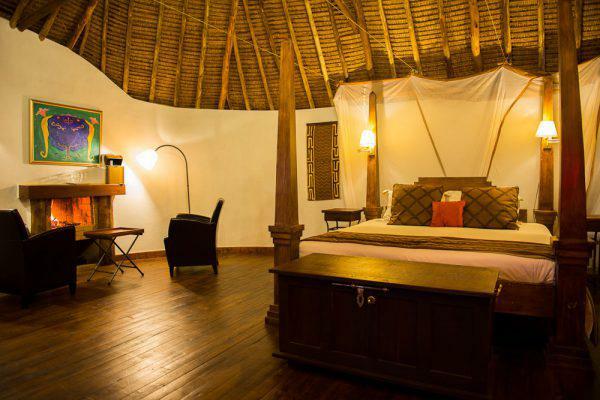 Would you like to stay at the Tawi Lodge? Click here for the Best prices & deals!